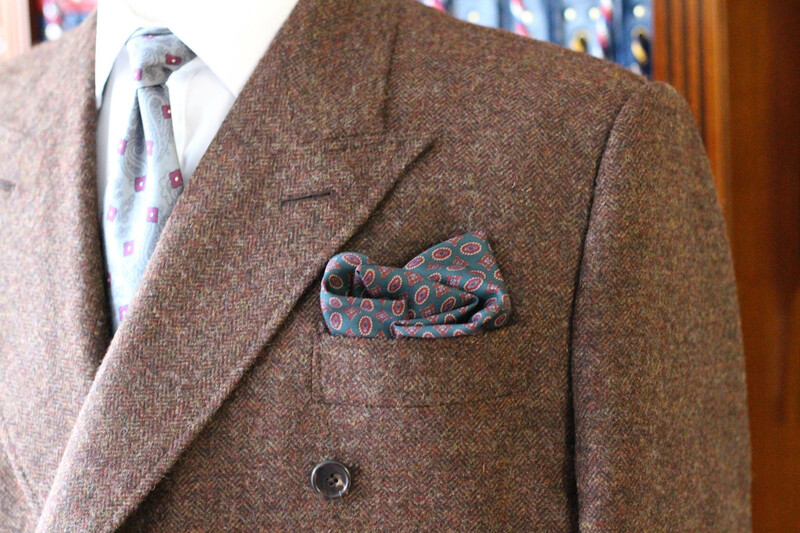 A well cut and fitted overcoat should always have a long single vent at the back to allow the client a comfortable stride, and a bespoke overcoat should always extend below the knee. A bespoke tailored overcoat is a quality investment and will certainly last you for years. Traditionally, most of our clients select an English heavy weight cloth that’s woven in Yorkshire for their bespoke overcoat. For a slightly softer overcoat, we recommend wool and cashmere blend cloths that are woven in Italy, and 100% pure cashmere woven in Scotland. Des diligently advised on all of the detail; size and shape of pockets, vents, button holes, lining options etc. The attention to detail at every stage is phenomenal and an inspiration to watch. Thank you for all your hard work and I look forward to my next one. WHY GET YOUR BESPOKE OVERCOAT FROM US? Our bespoke overcoats take a minimum of 75 hours (10-12 weeks) to complete. If you have a specific deadline in mind, please get in touch.